With half a million young Africans engaged over the past two years, 15 governments and over 100 partners on board already, Africa Code Week speaks volumes on the importance and impact of public-private partnerships in the digital age. Hon. Prof Joyce Ndalichako Tanzanian Minister of Education, Science, Technology and Vocational Training, joined SAP alongside Hon. Ciaran Cannon, Irish Minister of State for the Diaspora and International Development, UNESCO YouthMobile, the German Federal Ministry for Economic Cooperation and Development (BMZ), the Cape Town Science Centre, the Galway Education Centre, and Google to declare the 2017 edition of Africa Code Week open across 35 countries. Over 500,000 children and youth aged 8-24 years are expected to participate in the thousands of free coding workshops that will be organised throughout the week. In the run-up to these events, thousands of teachers have been trained by skilled volunteers from SAP CSR EMEA and ACW Ambassadors across most participating countries. Tanzania has grown faster than the average rate of growth in sub-Saharan Africa (6.9% compared to 4.9% growth rate since 2005) and key drivers for its path to transformation are centered around technology based innovation and improving skills. Speaking at the event, Hon. Minister Ndalichako noted that “the use of ICT has increased considerably in recent years, it is a key foundation which will lift Africa out of poverty in a sustainable manner. 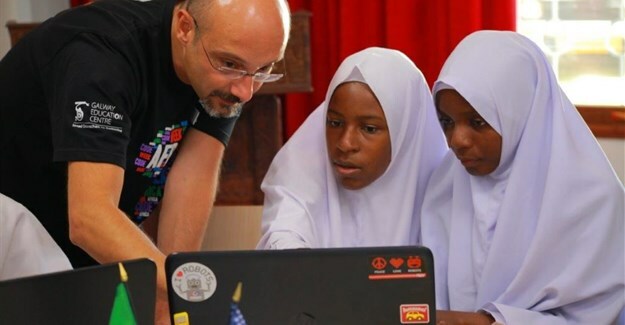 We are thankful to SAP and Africa Code Week partners for their support in our efforts to boost STEM skills development for our youth, and we look forward to empowering a new generation of digital innovators across Tanzania and Africa at large,” she said. 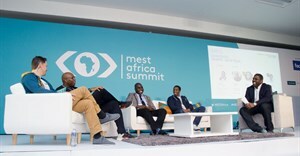 Celebrating more than a continent-wide education revolution in the making, the launch also shed light on the African female leaders who dedicate their life to improving digital skills and employment perspectives for girls in the digital century. As part of the Africa Code Week, the German Federal Ministry for Cooperation and Development (BMZ) provides micro grants to 20 female tech leaders who organise coding workshops in 17 African countries specifically for girls. “250 million fewer women than men have access to the internet. We need to take action to close this gap and make sure women and girls can benefit from the potentials of the digital revolution,” said Roland Lindenthal, head of Division Education and Digital World at BMZ. The engagement of the BMZ is part of the #eSkills4Girls initiative launched under the German G20 presidency. At their meeting in July, the G20 leaders committed to support digital skills of women and girls worldwide. To underline the political message, the BMZ takes action and supports the coding workshops and other activities to promote the participation of women in the digital economy. Africa Code Week 2017 will take place from 18-25 October across 35 countries. For more information about Africa Code Week visit: http://africacodeweek.org/.